Microfilm is in use and is being produced as an archival media across the US and around the world every day. 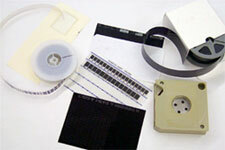 DRS provides the widest range of microfilm services in the industry. Many of the world’s long-term archives are microfilm based and when stored properly can serve as a legal compliant long term storage solution for critical information. We not only scan all types of microfilm but we also scan to archival microfilm to meet various government requirements. We operate microfilm processing and duplication data archiving centers that commit the highest quality images to 16 MM and 35 MM Archival Microfilm. We create Microfilm Jackets and Aperture cards if required due to existing libraries. Our QC team inspects all product for image quality, density in our laboratories and monitored laboratories.